If you are looking for an exclusive location to host your next meeting or incentive event or a very exclusive gala dinner ” Think about Riviera Maya exclusive Haciendas and Theme Venues”. 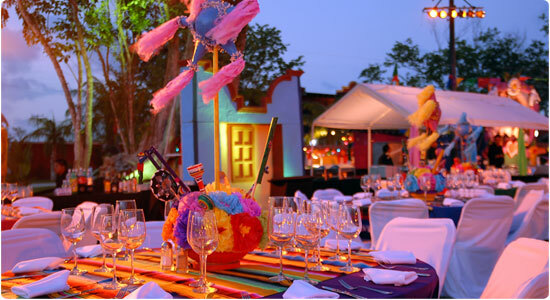 Imaging having your gala dinner set up around the exotic landscaping of our amazing Mexican Haciendas or on the private island of Isla Mujeres including a Pirate theme. Meeting Incentive Experts delivers tailor made events, we take care of all details you desire from start to finish; our creative staff is always onsite to assist you! our exquisite dinning provided by our 5 star catering companies and our top shelve liquor and wine selection. Meeting Incentive Experts knows how to provide you with a VIP event.